Christine is a top producing Realtor® at Michael Saunders & Company. She has a true commitment to the real estate industry and her customers. With 25 years in sales and marketing, Christine grasps what it takes to be a true professional. She is a member of the Ambassador Club, Graduate Institute of Realtors® and has received numerous Michael Saunders awards of excellence. With a consistent sales record in the... more. millions the results speak for themselves. As a real estate Top Producer, she has a true understanding of the pros and cons of each local neighborhood combined with an intimate knowledge of current and sold listings. Over the years, Christine has gathered around her a first-class network of professionals including lenders, title companies and attorneys to smoothly orchestrate the buying and selling process for her customer. Christine loves what she does and loves where she does it! 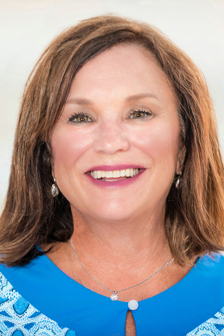 She brings to her work a passion and energy which, combined with her unmatched market insight into the Sarasota market, is fundamental to her success.